What if you could plan your entire wedding – from dealing with suppliers to choosing the right catering to inviting guests and sending ‘thank you’ notes – all in one place, over the Web, without even needing to get up from your living-room cozy couch? Well, now you can. Israeli startup HoneyBook provides the ultimate event organizing experience, online. Be it weddings, birthdays, social gatherings or even corporate events, the company provides the platform for all communications and transactions between whoever is involved in the event – the planner, the photographer, DJ or cater. Served on a beautiful interface, this awesome service would make you kiss your event-planning headache goodbye. And while some startups are all about building tomorrow’s technology, HoneyBook is changing the world from a whole different, surprising angle: “From a young age, my co-founder Naama Alon and I have always had a passion to organizing parties and bringing people together in events” says Oz Alon, HoneyBook’s co-founder and CEO. When Oz and Naama got married, Naama built an online interface to share content from the wedding, like photos and videos, with family and friends. “People looked at it and said: “this is awesome! we want to use this tool too”! But more importantly, we found that everyone wanted to know who the vendors were in our wedding. And that’s when we realized we have a business potential here”. 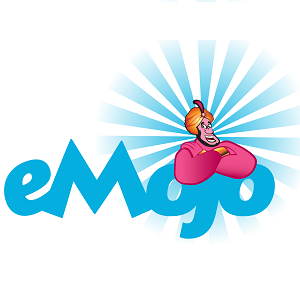 And in case you had any doubts about the potential of this business – it’s time to think again: the company has recently raised $10M in Series A funding, which will help it expand its operations in the US. 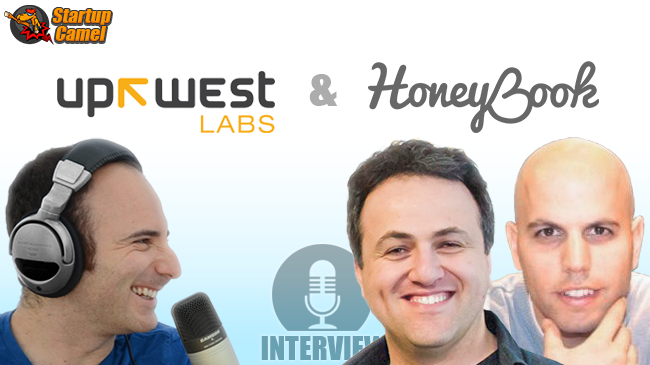 HoneyBook is a proud alumnus of UpWest Labs, a Silicon Valley accelerator that provides tools, consultation, connections and workspace for Israeli startups who look to enter the American market. “HoneyBook is a perfect example of an Israeli startup that, with the right access to the US market, can reach great success” says Gil Ben-Artzy, UpWest Labs’ co-founder, who recently visited Israel to recruit the next round of startups to participate in the program. Ben-Artzy, an Israeli tech leader who has lived in Silicon Valley since ’05, identified the great potential of Israeli entrepreneurs in the US market through his days at Yahoo!. “I worked with many Israeli entrepreneurs, and saw amazing talent, but the missing part was always access to the market. And I thought – If we could only bring Israeli entrepreneurs to the Silicon Valley for a certain amount of time and provide access to this huge market in the US, then they can build amazing businesses”. To make this vision a reality, Ben-Artzy partnered with co-founders Shuli Galili and Liron Petrushka to start UpWest Labs. In its 3 years since founding, the prestigious program has already nurtured 46 Israeli startups. “One thing we always look for in a startup is big and interesting markets” explains Ben-Artzy. “In HoneyBook’s case – not only that the wedding market is a huge, but also with all the IT advancements these days – we felt this market was ready for disruption. Then we also look for a strong team with experience and insights about the product. Alon and Naama come from the right background of event planning, they understand the dynamics and the needs, and most importantly – they are passionate about it. So HoneyBook and UpWest Labs are a perfect match”.